During The Savoy's £220million refit the American Bar was barely touched, ensuring it stayed true to its traditional, sleek design that is synonymous with the iconic drinking destination. This move was clearly a clever one after the bar was voted the world's best in the 2017 World's 50 Best Bars ranking. The white décor, art deco mirrors and fittings, polished piano - used for live American Jazz seven nights a week - and Terry O'Neill monochrome portraits come together to form one of the capital's most stylish bars. 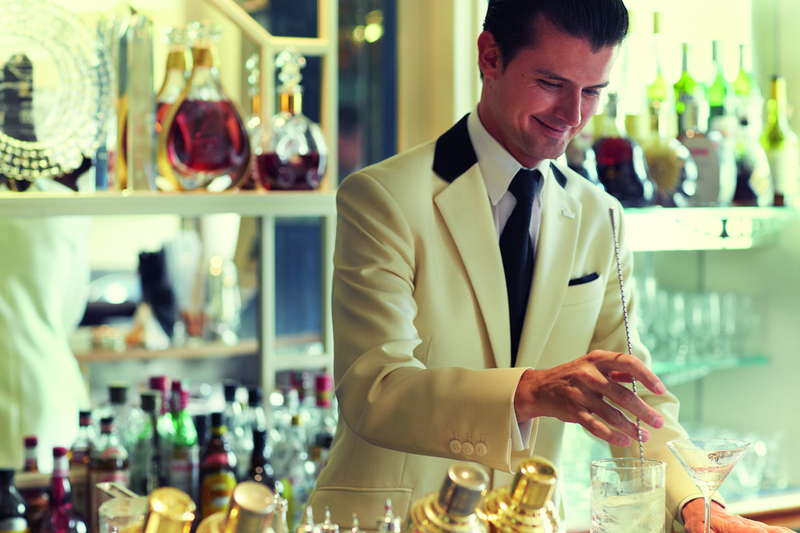 Erik Lorincz currently leads the award-winning team of bar staff, who still refer to the legendary Savoy Cocktail Book that is considered 'the bartender's bible'. Written by Harry Craddock, the head bartender in the 1930s, the book contains cocktails such as the famous White Lady, which is made with Bombay Sapphire gin, dry orange liqueur, fresh lemon juice and a dash of egg white. As well as these traditional choices, the bar aims to serve classic drinks that appeal to the modern palate. The American Bar at The Savoy clubs, bars, cabaret nights, casinos and interesting nightlife. What are the best dining options near The American Bar at The Savoy London? The American Bar at The Savoy gyms, sporting activities, health & beauty and fitness. The best pubs near London The American Bar at The Savoy. Where to have your meeting, conference, exhibition, private dining or training course near The American Bar at The Savoy. From cheap budget hotels to luxury 5 star suites see our discounts for The American Bar at The Savoy hotels, including Radisson Blu Edwardian Bloomsbury Street Hotel from 87% off.